The London School of Economics (LSE) has condemned Indian spiritual leader Jaggi Vasudev’s comments calling a Pakistani student “Taliban”. 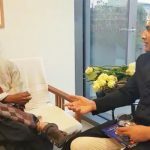 Bilal Bin Saqib, who is from Lahore, was the host of the event at the LSE where Vasudev delivered a lecture at the university called “Youth and Truth: Unplug with Sadhguru”. LSE stressed that it deemed the Indian priest’s comments as “Islamophobic”. LONDON: The London School of Economics (LSE) has condemned Indian spiritual leader Jaggi Vasudev’s comments calling a Pakistani student “Taliban” during an interaction at the LSE’s premises. Bilal Bin Saqib, who is from Lahore, was the host of the event at the LSE where Vasudev delivered a lecture at the university called “Youth and Truth: Unplug with Sadhguru”. Jaggi Vasudev had visited the LSE as part of his Youth and Truth series where he has been invited to institutes across the world to engage with students. When Bilal immediately asks what “Talibaniya” is, Jaggi Vasudev says, “Taliban, Taliban”. A shocked Bilal then told the Indian spiritual leader that his name was Bilal Bin Saqib. The students’ union (LSESU), in the statement, said that it was “deeply disappointed” by Vasudev’s comments and viewed them as “Islamophobic”. LSE stressed that it deemed the Indian priest’s comments as “Islamophobic”. Asserting that such language did “not have a place” on the LSE campus, the organisation said, “If the comments were made in jest, this does not lessen their impact — the words still offend. Such incidents, if not duly denounced, aggregate to create a culture where casual Islamophobia becomes acceptable.” The students’ union also demanded a formal apology from Sadhguru. When the union contacted Vasudev for a statement on the matter, the spiritual leader denied an “intention to abuse or insult” Saqib. He said: “I would like to tell all those concerned that the word ‘Taliban’ in Arabic means an ‘ardent student’, which Bilal definitely is, as also the other two students are. This term is always used in India in relation to someone who is over enthusiastic. It is in that context that I was joking with Bilal, it is very unfortunate that it has been projected this way,” he said. The LSESU denied Sadhguru’s claim of the video having been edited. “We do not believe the video was ‘mischievously edited’ and have heard no reports supporting the common use of ‘Taliban’ in India as meaning over-enthusiastic,” the statement said. Bilal Bin Saqib is also running for the President of the National Union of Students which is the largest student body in the UK representing over 7 million UK students. He is the current elected Post Graduate students Officer representing over 65% of the student population at LSE.